Much awaited Sony's Water resistant phone Xperia Z and Xperia ZL has officially launched in India for Rs 38,990 and Rs 35,990. The both phone will go on sale from March 12. The device has Sony's new water and dust resistance technology. 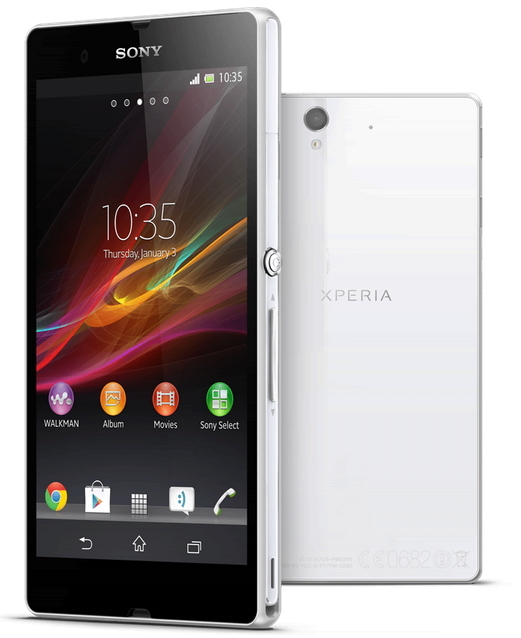 The Sony Xperia Z has 5-inch Full HD Display with resolution of 1920 x 1080 pixels powered by . The phone powered by 1.5 GHz Quad-core Snapdragon S4 processor with 2GB RAM and runs on a Google's Android 4.1 Jelly bean operating system. The Xperia Z features 13 megapixel Exmor RS camera with LED flash and auto focus and 2MP front facing camera. It equipped with 16 GB internal storage space can expandable up to 32 GB with microSD card. It Xperia Z having good battery backup, gives continues talk time upto 11 hours and stand by time up to 550 hours also you can increase battery capacity in Batery Stamina Mode.